As I wrote into a recent post: “…it seems that the residual effects of the federal governments’ former [teacher evaluation reform policies and] efforts are still dominating states’ actions with regards to educational accountability.” In other words, many states are still moving forward, more specifically in terms of states’ continued reliance on the use of value-added models (VAMs) for increased teacher accountability purposes, regardless of the passage of the Every Student Succeeds Act (ESSA). Related, three articles were recently published online (here, here, and here) about how in Louisiana, the state’s old and controversial teacher evaluation system as based on VAMs is resuming after a four-year hiatus. It was put on hold when the state was in the process of adopting The Common Core. This, of course, has serious implications for the approximately 50,000 teachers throughout the state, or the unknown proportion of them who are now VAM-eligible, believed to be around 15,000 (i.e., approximately 30% which is inline with other state trends). While the state’s system has been partly adjusted, whereas 50% of a teacher’s evaluation was to be based on growth in student achievement over time using VAMs, and the new system has reduced this percentage down to 35%, now teachers of mathematics, English, science, and social studies are also to be held accountable using VAMs. The other 50% of these teachers’ evaluation scores are to be assessed using observations with 15% based on student learning targets (a.k.a., student learning objectives (SLOs)). Evaluation system output are to be used to keep teachers from earning tenure, or to cause teachers to lose the tenure they might already have. A spokeswoman for the state, however, countered the transparency charge noting that the VAM formula has been on the state’s department of education website, “and updated annually, since it began in 2012.” She did not provide a comment about how to adequately explain the model, perhaps because she could not either. Just because it might be available does not mean it is understandable and, accordingly, usable. This we have come to know from administrators, teachers, and yes, state-level administrators in charge of these models (and their adoption and implementation) for years. This is, indeed, one of the largest criticisms of VAMs abound. I recently wrote about how, in Louisiana, the state is reverting back to its value-added model (VAM)-based teacher accountability system after its four year hiatus (see here). The post titled “Much of the Same in Louisiana” likely did not come as a surprise to teachers there in that the state (like most other states in the sunbelt, excluding California) have a common and also perpetual infatuation with such systems, whether they be based on student-level or teacher-level accountability. 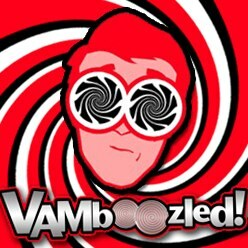 Well, at least one school district in Florida is kissing the state’s six-year infatuation with its VAM-based teacher accountability system goodbye. I could have invoked a much more colorful metaphor here, but let’s just go with something along the lines of a sophomoric love affair. That’s all the article has to offer on the topic, but let’s all hope others, in Florida and beyond, do follow. Within a series of prior posts (see, for example, here and here), I have written about what the Every Student Succeeds Act (ESSA), passed in December of 2015, means for the U.S., or more specifically states’ school and teacher evaluation systems as per the federal government’s prior mandates requiring their use of growth and value-added models (VAMs). Related, states were recently (this past May) required to submit to the federal government their revised school and teacher evaluation plans, post ESSA, given how they have changed, or not. While I have a doctoral student currently gathering updated teacher evaluation data, state-by-state, and our preliminary findings indicate that “things” have not (yet) changed much post ESSA, at least at the teacher level of focus in this study and except for in a few states (e.g., Connecticut, Oklahoma), states still have the liberties to change that which they do on both ends (i.e., school and teacher accountability). Recently, a colleague recently shared with me a study titled “Next Generation Accountability: A Vision for School Improvement Under ESSA” that warrants coverage here, in hopes that states are still “out there” trying to reform their school and teacher evaluation systems, of course, for the better. While the document was drafted by folks coming from the aforementioned state of Oklahoma, who are also affiliated with the Learning Policy Institute, it is important to note that the document was also vetted by some “heavy hitters” in this line of research including, but not limited to, David C. Berliner (Arizona State University), Peter W. Cookson Jr. (American Institutes for Research (AIR)), Linda Darling-Hammond (Stanford University), and William A. Firestone (Rutgers University). The continued use of a single composite indicator to reduce and then sort teachers or schools by their overall effectiveness or performance (e.g., using teacher “effectiveness” categories or school A–F letter grades) is myopic, to say the least. This is because doing this (a) misses all that truly “matters,” including multidimensional concepts and (non)cognitive competencies we want students to know and to be able to do, not captured by large-scale tests; and (b) inhibits the usefulness of what may be informative, stand-alone data (i.e., as taken from “multiple measures” individually) once these data are reduced and then collapsed so that they can be used for hierarchical categorizations and rankings. This also (c) very much trivializes the multiple causes of low achievement, also of importance and in much greater need of attention. “Next Generation” accountability systems should incorporate principles of “shared accountability,” whereby educational responsibility and accountability should be “distributed across system components and not foisted upon any one group of actors or stakeholders” (p. ix). “[E]xerting pressure on stakeholders who do not have direct control over [complex educational] elements is inappropriate and worse, harmful” (p. ix). Accordingly, the goal of “shared accountability” is to “create an accountability environment in which all participants [including governmental organizations] recognize their obligations and commitments in relation to each other” (p. ix) and their collective educational goals. leadership, teachers, and parents” (p. ix). Data may include, at minimum, data on school resources, processes, outcomes, and other nuanced indicators, and this information must be made transparent and accessible in order for all types of data users to be responsive, holistically and individually (e.g, at school or classroom levels). The formative functions of such “Next Generation” informational systems, accordingly, take priority, at least for initial terms, until informational data can be used to, with priority, “identify and transform schools in catastrophic failure” (p. ix). Related, all test- or other educational measurement-related components of states’ “Next Generation” statutes and policies should adhere to the Standards for Educational and Psychological Testing, and more specifically their definitions of reliability, validity, bias, fairness, and the like. Statutes and policies should also be written “in the least restrictive and prescriptive terms possible to allow for [continous] corrective action and improvement” (p. x). Finally, “Next Generation” accountability systems should adhere to the following five essentials: “(a) state, district, and school leaders must create a system-wide culture grounded in “learning to improve;” (b) learning to improve using [the aforementioned informational systems also] necessitates the [overall] development of [students’] strong pedagogical data-literacy skills; (c) resources in addition to funding—including time, access to expertise, and collaborative opportunities—should be prioritized for sustaining these ongoing improvement efforts; (d) there must be a coherent structure of state-level support for learning to improve, including the development of a strong Longitudinal Data System (LDS) infrastructure; and (e) educator labor market policy in some states may need adjustment to support the above elements” (p. x). To read more, please access the full report here. In sum, “Next Generation” accountability systems aim at “a loftier goal—universal college and career readiness—a goal that current accountability systems were not designed to achieve. To reach this higher level, next generation accountability must embrace a wider vision, distribute trustworthy performance information, and build support infrastructure, while eliciting the assent, support, and enthusiasm of citizens and educators” (p. vii). As briefly noted prior, “a few states have been working to put more supportive, humane accountability systems in place, but others remain stuck in a compliance mindset that undermines their ability to design effective accountability systems” (p. vii). Perhaps (or perhaps likely) this is because for the past decade or so states invested so much time, effort, and money to “reforming” their prior teacher evaluations systems as formerly required by the federal government. This included investments in states’ growth models of VAMs, onto which many/most states seem to be holding firm. As many of you may recall, I wrote a post last March about the passing of William L. Sanders at age 74. Sanders developed the Education Value-Added Assessment System (EVAAS) — the value-added model (VAM) on which I have conducted most of my research (see, for example, here and here) and the VAM at the core of most of the teacher evaluation lawsuits in which I have been (or still am) engaged (see here, here, and here). Over the weekend, though, The New York Times released a similar piece about Sanders’s passing, titled “The Little-Known Statistician Who Taught Us to Measure Teachers.” Because I had multiple colleagues and blog followers email me (or email me about) this article, I thought I would share it out with all of you, with some additional comments, of course, but also given the comments I already made in my prior post here. First, I will start by saying that the title of this article is misleading in that what this “little-known” statistician contributed to the field of education was hardly “little” in terms of its size and impact. Rather, Sanders and his associates at SAS Institute Inc. greatly influenced our nation in terms of the last decade of our nation’s educational policies, as largely bent on high-stakes teacher accountability for educational reform. This occurred in large part due to Sanders’s (and others’) lobbying efforts when the federal government ultimately choose to incentivize and de facto require that all states hold their teachers accountable for their value-added, or lack thereof, while attaching high-stakes consequences (e.g., teacher termination) to teachers’ value-added estimates. This, of course, was to ensure educational reform. This occurred at the federal level, as we all likely know, primarily via Race to the Top and the No Child Left Behind Waivers essentially forced upon states when states had to adopt VAMs (or growth models) to also reform their teachers, and subsequently their schools, in order to continue to receive the federal funds upon which all states still rely. It should be noted, though, that we as a nation have been relying upon similar high-stakes educational policies since the late 1970s (i.e., for now over 35 years); however, we have literally no research evidence that these high-stakes accountability policies have yielded any of their intended effects, as still perpetually conceptualized (see, for example, Nevada’s recent legislative ruling here) and as still advanced via large- and small-scale educational policies (e.g., we are still A Nation At Risk in terms of our global competitiveness). Yet, we continue to rely on the logic in support of such “carrot and stick” educational policies, even with this last decade’s teacher- versus student-level “spin.” We as a nation could really not be more ahistorical in terms of our educational policies in this regard. Regardless, Sanders contributed to all of this at the federal level (that also trickled down to the state level) while also actively selling his VAM to state governments as well as local school districts (i.e., including the Houston Independent School District in which teacher plaintiffs just won a recent court ruling against the Sanders value-added system here), and Sanders did this using sets of (seriously) false marketing claims (e.g., purchasing and using the EVAAS will help “clear [a] path to achieving the US goal of leading the world in college completion by the year 2020”). To see two empirical articles about the claims made to sell Sanders’s EVAAS system, the research non-existent in support of each of the claims, and the realities of those at the receiving ends of this system (i.e., teachers) as per their experiences with each of the claims, see here and here. Hence, to assert that what this “little known” statistician contributed to education was trivial or inconsequential is entirely false. Thankfully, with the passage of the Every Student Succeeds Act” (ESSA) the federal government came around, in at least some ways. While not yet acknowledging how holding teachers accountable for their students’ test scores, while ideal, simply does not work (see the “Top Ten” reasons why this does not work here), at least the federal government has given back to the states the authority to devise, hopefully, some more research-informed educational policies in these regards (I know….). Nonetheless, may he rest in peace (see also here), perhaps also knowing that his forever stance of “[making] no apologies for the fact that his methods were too complex for most of the teachers whose jobs depended on them to understand,” just landed his EVAAS in serious jeopardy in court in Houston (see here) given this stance was just ruled as contributing to the violation of teachers’ Fourteenth Amendment rights (i.e., no state or in this case organization shall deprive any person of life, liberty, or property, without due process [emphasis added]). Over the last 3.5 years since I developed this blog, I have written many posts about one particular value-added model (VAM) – the Education Value-Added Assessment System (EVAAS), formerly known as the Tennessee Value-Added Assessment System (TVAAS), now known by some states as the TxVAAS in Texas, the PVAAS in Pennsylvania, and also known as the generically-named EVAAS in states like Ohio, North Carolina, and South Carolina (and many districts throughout the nation). It is this model on which I have conducted most of my research (see, for example, the first piece I published about this model here, in which most of the claims I made still stand, although EVAAS modelers disagreed here). And it is this model that is at the source of the majority of the teacher evaluation lawsuits in which I have been or still am currently engaged (see, for example, details about the Houston lawsuit here, the former Tennessee lawsuit here, and the new Texas lawsuit here, although the model is more peripheral in this particular case). Anyhow, the original EVAAS model (i.e, the TVAAS) was originally developed by a man named William L. Sanders who ultimately sold it to SAS Institute Inc. that now holds all rights to the proprietary model. See, for example, here. See also examples of prior posts about Sanders here, here, here, here, here, and here. See also examples of prior posts about the EVAAS here, here, here, here, here, and here. It is William L. Sanders who just passed away and we sincerely hope may rest in peace. Sanders had a bachelors degree in animal science and a doctorate in statistics and quantitative genetics. 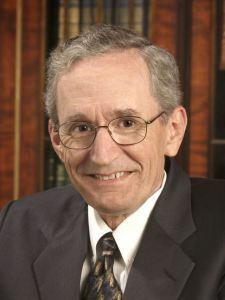 As an adjunct professor and agricultural statistician in the college of business at the University of Knoxville, Tennessee, he developed in the late 1980s his TVAAS. Sanders thought that educators struggling with student achievement in the state should “simply” use more advanced statistics, similar to those used when modeling genetic and reproductive trends among cattle, to measure growth, hold teachers accountable for that growth, and solve the educational measurement woes facing the state of Tennessee at the time. It was to be as simple as that…. I should also mention that given this history, not surprisingly, Tennessee was one of the first states to receive Race to the Top funds to the tune of $502 million to further advance this model; hence, this has also contributed to this model’s popularity across the nation. Of course, we have much research evidence to counter these claims, but for now we will just leave all of this at that. Again, may he rest in peace. The controversial National Council on Teacher Quality (NCTQ) — created by the conservative Thomas B. Fordham Institute and funded (in part) by the Bill & Melinda Gates Foundation as “part of a coalition for ‘a better orchestrated agenda’ for accountability, choice, and using test scores to drive the evaluation of teachers” (see here; see also other instances of controversy here and here) — recently issued yet another report about state’s teacher evaluation systems titled: “Running in Place: How New Teacher Evaluations Fail to Live Up to Promises.” See a related blog post in Education Week about this report here. See also a related blog post about NCTQ’s prior large-scale (and also slanted) study — “State of the States 2015: Evaluating Teaching, Leading and Learning” — here. Like I did in that post, I summarize this study below. From the abstract: Authors of this report find that “within the 30 states that [still] require student learning measures to be at least a significant factor in teacher evaluations, state guidance and rules in most states allow teachers to be rated effective even if they receive low scores on the student learning component of the evaluation.” They add in the full report that in many states “a high score on an evaluation’s observation and [other] non-student growth components [can] result in a teacher earning near or at the minimum number of points needed to earn an effective rating. As a result, a low score on the student growth component of the evaluation is sufficient in several states to push a teacher over the minimum number of points needed to earn a summative effective rating. This essentially diminishes any real influence the student growth component has on the summative evaluation rating” (p. 3-4). The first assumption surrounding the authors’ main tenets they make explicit: that “[u]nfortunately, [the] policy transformation [that began with the publication of the “Widget Effect” report in 2009] has not resulted in drastic alterations in outcomes” (p. 2). This is because, “[in] effect…states have been running in place” (p. 2) and not using teachers’ primarily test-based indicators for high-stakes decision-making. Hence, “evaluation results continue to look much like they did…back in 2009” (p. 2). The authors then, albeit ahistorically, ask, “How could so much effort to change state laws result in so little actual change?” (p. 2). Yet they don’t realize (or care to realize) that this is because we have almost 40 years of evidence that really any type of test-based, educational accountability policies and initiatives have never yield their intended consequences (i.e., increased student achievement on national and international indicators). Rather, the authors argue, that “most states’ evaluation laws fated these systems to status quo results long before” they really had a chance (p. 2). The authors’ second assumption they imply: that the two most often used teacher evaluation indicators (i.e., the growth or value-added and observational measures) should be highly correlated, which many argue they should be IF in fact they are measuring general teacher effectiveness. But the more fundamental assumption here is that if the student learning (i.e., test based) indicators do not correlate with the observational indicators, the latter MUST be wrong, biased, distorted, and accordingly less trustworthy and the like. They add that “teachers and students are not well served when a teacher is rated effective or higher even though her [sic] students have not made sufficient gains in their learning over the course of a school year” (p. 4). Accordingly, they add that “evaluations should require that a teacher is rated well on both the student growth measures and the professional practice component (e.g., observations, student surveys, etc.) in order to be rated effective” (p. 4). Hence, also in this report the authors put forth recommendations for how states might address this challenge. See these recommendations forthcoming, as also related to a new phenomenon my students and I are studying called artificial inflation. Here is one important figure, taken out of context in some ways on purpose (e.g., as the text surrounding this particular figure is ironically, subjectively used to define what the NCTQ defines as as indicators or progress, or regress). Near Figure 1 (p. 1) the authors note that “as of January 2017, there has been little evidence of a large-scale reversal of states’ formal evaluation policies. In fact, only four states (Alaska, Mississippi, North Carolina, and Oklahoma) have reversed course on factoring student learning into a teacher’s evaluation rating” (p. 3). While this reversal of four is not illustrated in their accompanying figure, see also a prior post about what other states, beyond just these four states of dishonorable mention, have done to “reverse” the “course” (p. 3) here. While the authors shame all states for minimizing teachers’ test-based ratings before these systems had a chance, as also ignorant to what they cite as “a robust body of research” (without references or citations here, and few elsewhere in a set of footnotes), they add that it remains an unknown as to “why state educational agencies put forth regulations or guidance that would allow teachers to be rated effective without meeting their student growth goals” (p. 4). Many of us know that this was often done to counter the unreliable and invalid results often yielded via the “objective” test-based sides of things that the NCTQ continues to advance. Thirty states require measures of student academic growth to be at least a significant factor within teacher evaluations; another 10 states require some student growth, and 11 states do not require any objective measures of student growth (p. 5). growth goals to still receive a summative rating of at least effective (p. 5). student growth measures to be rated effective or higher (p. 5). In Colorado, for example…a teacher can earn a rating of highly effective with a score of just 1 for student growth (which the state classifies as “less than expected”) in conjunction with a top professional practice score (p. 4). Ten states do not specifically address whether a teacher who has not met student growth goals may be rated as effective or higher. These states neither specifically allow nor specifically disallow such a scenario, but by failing to provide guidance to prevent such an occurrence, they enable it to exist (p. 6). Only two of the 30 states (Indiana and Kentucky) make it impossible for a teacher who has not been found effective at increasing student learning to receive a summative rating of effective (p. 6). Establish policies that preclude teachers from earning a label of effective if they are found ineffective at increasing student learning (p. 12). Track the results of discrete components within evaluation systems, both statewide and districtwide. In districts where student growth measures and observation measures are significantly out of alignment, states should reevaluate their systems and/or offer districts technical assistance (p. 12). ][That is, states should possibly promote artificial inflation as we have observed elsewhere. The authors add that] to ensure that evaluation ratings better reflect teacher performance, states should [more specifically] track the results of each evaluation measure to pinpoint where misalignment between components, such as between student learning and observation measures, exists. Where major components within an evaluation system are significantly misaligned, states should examine their systems and offer districts technical assistance where needed, whether through observation training or examining student growth models or calculations (p. 12-13). [Tennessee, for example,] publishes this information so that it is transparent and publicly available to guide actions by key stakeholders and point the way to needed reforms (p. 13).